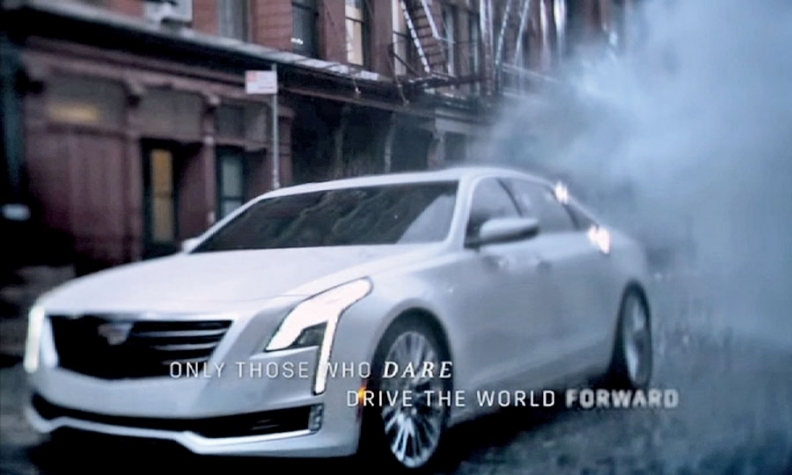 Cadillac slipped a teaser shot of its forthcoming CT6 large sedan into one of its "Dare Greatly" commercials during the Feb. 22 Academy Awards broadcast. CLICK HERE for a look at the TV spot with the CT6. 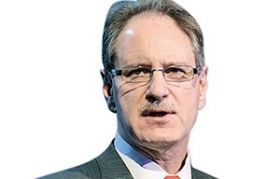 DETROIT -- The Cadillac CT6 sedan eventually will get a performance model with a twin-turbocharged V-8 engine, brand boss Johan de Nysschen said last week. In a question-and-answer session with readers of enthusiast website Jalopnik, de Nysschen said the CT6's lightweight structure will allow for "a very wide mix of engines, starting with a 2-liter turbo, up to, eventually, a high-performance advanced V-8 turbo," which presumably would wear a V-series badge. Asked whether Cadillac will have exclusive engines, de Nysschen said it already does: the Cadillac twin-turbo V-6, which is used in the ATS-V and the CTS and XTS Vsport models. De Nysschen: CTS structure will allow for "a very wide mix of engines." The CT6, scheduled to be revealed in New York on March 31, is widely expected to get the twin-turbo V-6 and a plug-in hybrid variant, but the extent of the engine lineup is unknown. "Imagine how this car would perform with a twin-turbo V-8," de Nysschen responded to one reader. Cadillac "will have four-cylinder and six-cylinder diesel engines, but not before 2019." Asked about a possible successor to the XLR roadster, phased out in 2009, he said Cadillac will "get around to developing a high-performance, very emotive sports car," but probably not until after 2020.